My husband and I sat side by side in the neurosurgeon’s office. This was the moment we had been waiting 10.5 weeks for – we would discover whether our infant daughter’s brain surgery was successful in managing her hydrocephalus. I was confident we were going to get good news. After all, I had been praying. My friends had been praying. 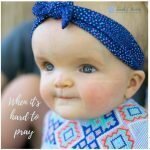 Friends of friends had been praying, literally all over the globe, for this little girl. I walked into that office anticipating a miraculous recovery. I had even decided which celebratory Bible verse I would post on my Facebook page to share the good news. But the good news didn’t come. Instead, the neurosurgeon revealed that her condition had become more severe. 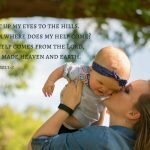 So, while I bounced my eight-month-old daughter on my knee, I began to wrestle with the understanding that rather than going home to celebrate, we would be preparing ourselves for yet another brain surgery. Scripture says that “Faith is confidence in what we hope for and assurance about what we do not see.” (Hebrews 11:1). 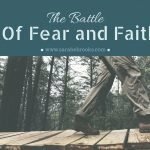 My faith was not lacking. As far as I was concerned, I had full confidence that God was going to swoop in and save the day. I just felt certain of it. I couldn’t wait to brag on Him and how He had come to our rescue. But the rescue hasn’t come…yet. So how to do you grapple with unanswered prayers? From my experience you have two choices: You can abandon hope/faith or you can trust God to see you through. He is Good and his plans for us are for our good. 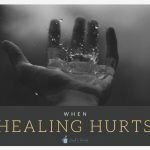 Perhaps our prayers for healing are not a hard “no” but a patient “not yet.”I have to be OK with that. And yet through it all, I have a peace. I feel like God has repeatedly promised to be our deliverer – to fight our battles. He continually asks me to trust Him. I feel confident that he has heard my prayers, the prayers of my family, the prayers of my friends, and the prayers of strangers whom I’ve never met face to face. These last few days, I’ve felt a lot of empathy with the story of Mary, Martha, and Lazarus in John 11. Lazarus had become ill. Mary and Martha, knowing that Jesus had the power to heal, sent for their friend with an urgent message, letting him know that his friend was sick and that he needed to come at once. And then he stays where he is…for two days…all the while saying that he loves Mary and Martha. And in the meantime, Lazarus dies. Jesus tells his disciples that there is a reason that he wasn’t there to heal Lazarus from his illness…it was so that they might believe. So Jesus and his disciples returned to Bethany, which is near Jerusalem, even though there were many there who were seeking to harm Jesus there. By the time Jesus arrives, Lazarus had been dead and in the tomb for four days. When Martha hears that Jesus is approaching, she runs out to meet him, but her sister, Mary stayed inside. She was not lacking in faith. She believed Jesus could heal her brother. That’s why she sent for him. Yet, even though he had not come, even though her brother died, her faith doesn’t waver. She remains confident in the power and the position of Jesus. Even though her brother was in the tomb. 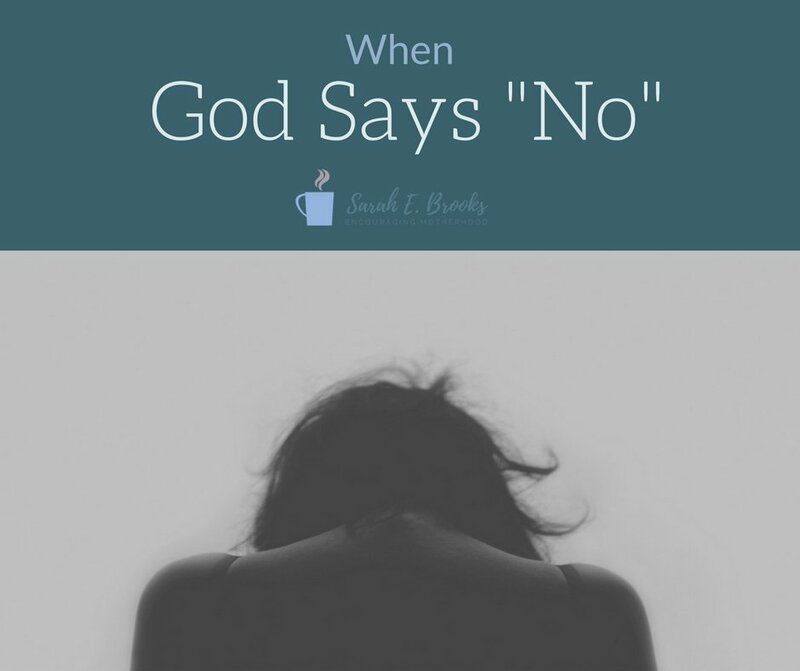 Even though her requests appeared to go unanswered, it didn’t change her understanding of who Jesus was. She could have said. “If you really were the Christ, you would have healed my brother.” She could have become angry with him. She could have wrestled with her faith and chosen to walk away. She could have nursed the feelings of bitterness and disappointment. 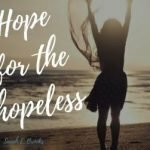 Instead, she chooses to believe, even though her situation seemed bleak and beyond hope. She runs back to her house and gets her sister Mary. Mary who previously sat to listen at Jesus’ feet (much to Martha’s irritation). Mary who anointed Jesus’ feet with oil and wiped them with her hair. She falls at his feet again…this time, weeping. She brings the same accusation to Jesus that her sister had. “Lord, if you had been here, my brother would not have died.” Jesus sees her curled on the ground at his feet sobbing. The sandy ground splattered with her falling tears. Jesus doesn’t reprimand her. He doesn’t berate her for “doubting his plan.” He doesn’t offer her cliches or platitudes. It says that the sight of these grieving sisters and their family and friends stirred his heart to deep grief as well. He wept knowing full well what he was going to do next. He knew what he was going to do before Lazarus even died. He had a plan, but these sisters didn’t know that yet. They were deep in their grief, so Jesus joined them there. Yet, some of the people looking on questioned the whole situation saying “Could not he who opened the eyes of the blind man also have kept this man from dying?” (John 11:36). They knew what Jesus was capable of and they couldn’t understand why he didn’t stop Lazarus from dying if he truly loved this family. 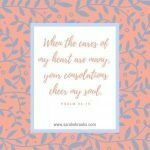 Jesus’ heart is stirred again. He asks where they’ve placed the body. They walk together toward the tomb. The entrance is covered with a large stone. He asks them to move the stone away. Martha, ever practical, thinks it’s important to remind Jesus that her brother has been dead for four days…and well…dead bodies stink. Removing the stone may not be a good idea. I can imagine the gentleness in Jesus’ eyes as he looks at Martha and says “Did I not tell you that if you believed you would see the glory of God?” (John 11:40). There, as a crowd of onlookers watched. Lazarus stumbles out of the tomb. His legs and arms still bound by the burial cloth he was wrapped in a few days before. His head covered with the burial shroud. I can’t even imagine. Sometimes it’s easy to read through a familiar Bible story and not let it sink fully in. How would you react if you went to a graveside service and one of the mourners cried out “Hey, Bob. Come out!” and the casket lid popped open and Bob crawled on out in the middle of the funeral. I’m sure it was one of those moments that you could never forget. It’s one of those moments that would make you stand up and pay attention. For some of those watching, this was the moment that lead to their belief in Jesus as the Son of God. For others, it was the moment they decided they had to put an end to this Jesus fellow. This illness does not lead to death. It is for the glory of God, so that the Son of God may be glorified through it. So, that’s where I am. I can relate to the sisters. I’ve called out to Jesus. I’ve asked him to come and heal, and yet it appears that he is waiting a few more days. I’ve thrown myself at his feet. I’ve cried as I’ve whispered that if he would have come, my daughter would have been made well. His Spirit whispers back to me: “I am the resurrection and the life. Whoever believes in me, though he die, yet shall he live, and everyone who lives and believes in me shall never die. Do you believe this?” This illness does not lead to death. It is for the glory of God, so that the Son of God may be glorified through it. Deep in my soul, I feel like we’re going to be OK. I don’t know how God is going to work out these details. I don’t know what “OK” will look like. It could mean a lifetime of brain surgeries. It could mean brain damage or disability. Of course, I continue to pray that he’ll protect her body and her mind because He is able to do that. I’m not going to stop asking for her healing and recovery. I don’t know the answer to that question, but I’ve lived enough life to know that sometimes, even though the difficulty is not removed, the miracle comes when we’re given the strength and peace and grace to get through what seems impossible. It’s how I can face next week without fear, because I trust Him. I know that he is the Christ, the Son of God who has come into the world. Nothing is too difficult for Him. So, we do a little weeping, we do a little waiting to see what Jesus will do. The story is bigger than us. So, Jesus, be glorified in this situation, in my daughter, in this mother’s heart. I know that you weep when I weep. I know that all authority in heaven and on earth has been given to you. Nothing is too difficult for you. You, who raised Lazarus from the grave, who healed the blind, who calmed the sea can with a word from your mouth bring healing. You are not some distant, uncaring God. Your heart is stirred by our suffering. You understand. I know that you can heal, but even if you don’t, we will trust you, because you see the big picture. You know how our story ends. You are a master storyteller and you’ve promised that in the end, everything will be OK for those who trust you, for those who believe in your name, for those who have been called according to your good purpose. Give us the strength to trust you and the faith to believe. We do appreciate your continued prayers for our daughter, Elizabeth Grace. Surgery is currently scheduled for Wed., April 26, 2017. We continue to ask that God will grant wisdom and skill to her surgeons and medical team and that he’ll protect her body and mind before, during, and after the procedure. Once again, precious Sarah, I am overwhelmed with your strength, but not your faith! I pray that God will reveal His glory through Elizabeth and her life. I know that you and all your family will be a forever blessing. I am believing with you. And praying alongside you. Thank you for sharing your heart. We have been on that long hard journey. Our grandson was in a terrible horse wreck & sustained a traumatic brain injury. Faith in a loving God kept the Light burning through dark nights. Keep telling your story. Your daughter’s story. God is with you & people everywhere need That story! Standing in the gap with you. As a 66 year old woman my faith was tested as I heard the word “cancer”. God gave me the strength to truly commit to His plan. As a parent, I know this same commitment of faith took an indescribably vast amount of moment by moment courage. Prayers for strength, healing, and joy in life as a family. Praying for Elizabeth and all that surrounds her . You story is an amazing story of faith . I needed to to read this this morning. I am and will continue to pray with you and for you all. I am not sure how the words “your comment is awaiting moderation ” got into my post. But just know that my prayers are with you all. Thank you for publishing your story. My family has gone through a trial ourselves, praying, “knowing” our prayers would be answered because we along with family and friends had prayed and just knew he would answer our prayers “the way we wanted”. Our granddaughter was born with Down Syndrome and has two holes in her heart. Surgery to repair the holes should come when she is around one year old. I can honestly say my faith was shaken for a little time. I cried, I was angry, upset, confused. However, my gracious heavenly father came to me and told me everything was going to be fine, she was going to be a blessing to all. And, she is a wonderful miracle from God. There are some hurdles to cross but we know our God has her and us in the palm of his hands. Thank you for sharing this.